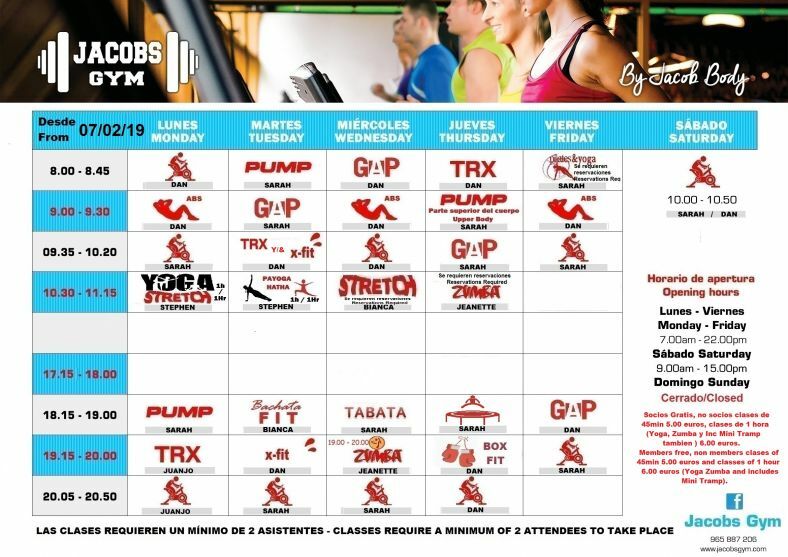 We have a full compliment of classes available no matter what your goals or levels of fitness. 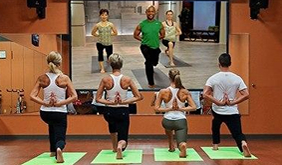 Our trained professionals will help you through such classes as Indoor Cycling, Pilates, Zumba, Insanity, Tabata and classes for those with bad backs. As well as these we are unique in offering classes with kettlebells and mini-trampolines, a first for the area. "ENJOYING THE EVENING SPINNING CLASSES. THE DISCO LIGHTS & MUSIC IS EXCELLENT. GREAT WORKOUT & ALSO FUN." The Kettlebell is a cast-iron weight, like a cannonball with a handle. 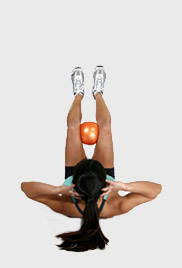 Kettlebells exercise uses dynamic movements to target almost every aspect of fitness from stamina and strength to balance, agility and cardio endurance. Kettlebell routines work multiple muscle groups in simple easy-to-follow workouts. Jumping on a mini trampoline, also called rebounding, is a low-impact cardio workout that improves muscle tone and balance while using 160 calories per 30 minutes of bouncing. The bounce allows your joints and muscles to "rebound" with no impact, which is better than jumping on a normal, rigid surface. Zumba combines Latin and International music with a fun and effective workout system. Zumba routines incorporate interval training alternating fast and slow rhythms and resistance training. if you enjoy Zumba, you’re also more likely to do it regularly and experience its benefits as an aerobic exercise. 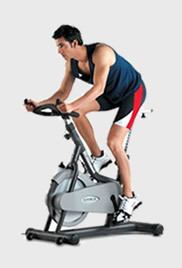 Indoor Cycling is great for people who want a motivating workout that they can control at their own pace. Even if you’re not into choreography-based fitness classes, you can still enjoy Indoor Cycling because it involves neither rhythm nor complex moves. It’s low-impact, so it’s suitable for people who have some joint problems. Pilates is an exercise system that focuses on stretching and strengthening the whole body to improve balance, muscle-strength, flexibility and posture. Pilates moves require you to engage virtually your whole body. At times, you may try to strengthen one muscle while stretching another. The various workouts include bouts of high intensity exercises alongside lower intensity rest periods to vary your heart rate. The idea behind maximum intensity interval training is that it is a more efficient form of cardiovascular activity that helps burn fat and builds lean muscle more effectively. Tabata is based on short duration but high intensity exercises. Through a variety of simple, yet intense exercises, each class will blast the calories and provide noticeable results in a short amount of time. Whether your goal is muscle tone, weight loss, or both, this class will provide whatever you are looking for. Improve the health of your back by working on a series of poses to strengthen muscles affecting the upper, middle and lower part of the back. This class is good for people with back problems to help tone back muscles, providing support and improve posture. Can't make a class? 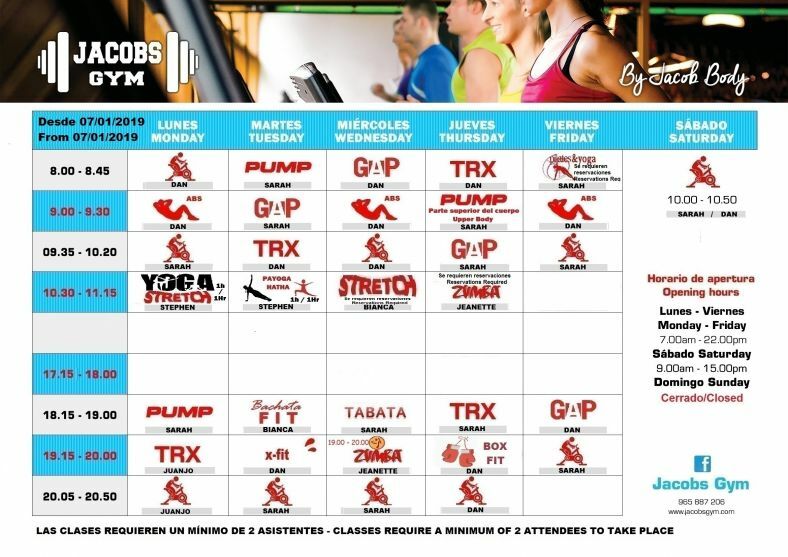 Jacobs Gym offer virtual exercise classes which use on-screen instructors. A variety of classes are on offer including indoor cycling, body toning, dance and kickboxing. Members have access to a vast range of workouts lasting between 30 and 60 minutes across three different levels: beginner, intermediate and advanced.